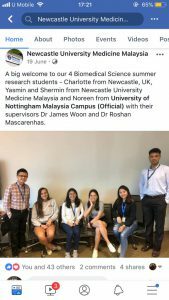 During the last summer break (June to July 2018), I was given great opportunity to be an internship exchange student at Newcastle University Medicine Malaysia (NUMed), Johor. 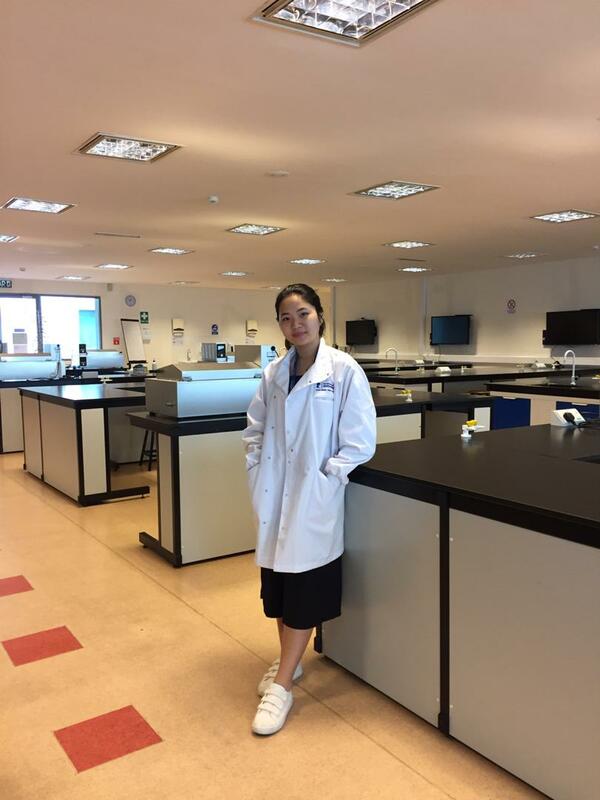 I was so grateful to be selected as I always wish to experience the lab life and lab culture in a different university. 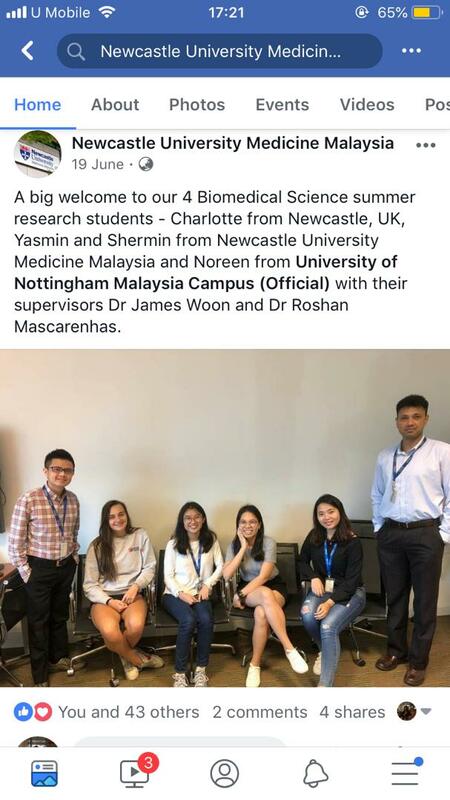 On the first day of my internship, I was very excited to meet my supervisor Dr Roshan Mascarenhas, the lab technicians and my new lab mates in NUMed. At the same time, I was so looking forward to starting my project entitled “Screening and molecular characterization of oxalate degrading bacteria”. Upon arriving at the campus, I was given a warm welcome in a meeting session with Prof Baldwin who is currently the provost and CEO of NUMed. Besides, I was offered a campus tour by the staff in NUMed to learn more about the university’s facilities, student life and the environment on campus. The staff also showed me around the laboratory, followed by a lab safety briefing session to understand the safety procedure of working in a lab. After the lunch break, I had a meeting with Dr Roshan to discuss the project I was going to undertake and get an idea of what I need to do for the following weeks. I was so thankful to the enormous effort put in by the staff in NUMed that help me to adapt into a new environment. Group photo taken during the welcoming session on the first day of internship (published in the Facebook page of NUMed on 19 June 2018). 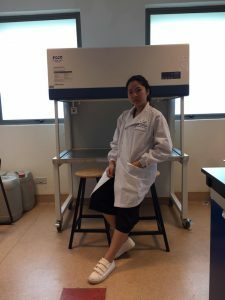 My project comprises three main objectives 1) to isolate bacteria from different food sources (tempeh, kimchi and yogurt), 2) to screen the food bacteria for their oxalate degrading ability and 3) to characterize the oxalotrophic bacteria using molecular approaches. With the guidance of my supervisor, I have developed several different methods to test the oxalate degrading ability of the selected bacteria samples. After multiple trials and modifications, unfortunately, I was unable to obtain any positive results for objective #2. Although the results did not turn out as what I expected, I have learned a lot from this internship. 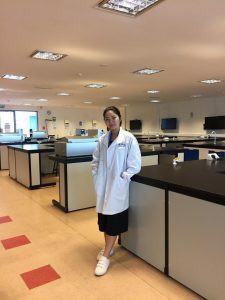 I was able to master various laboratory skills which I was not exposed to during the practical classes, including medium preparation, aseptic techniques (sterilizing lab materials by autoclaving), preparation of bacterial glycerol stock and the proper way of using lab equipment. This is the laboratory I worked for the past two months. In the last week of my internship, I presented my research project and internship experience to the faculty and research team in the Biomedical Sciences Department, NUMed, together with other internship students in the department. After the presentation, I have received very useful feedback from my supervisor on how to improve my presentation skills as well as some constructive recommendation for future work that can be done for the project. 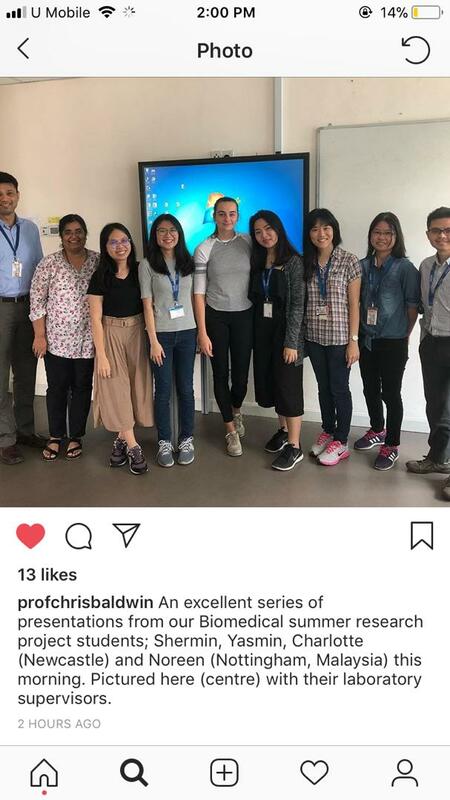 Photo session with all internship project students after the final presentation (extracted from Professor Chris Baldwin Instagram page). From this summer internship, I feel that I have improved my critical thinking and organizational skills which have prepared me better for my upcoming final year project in Year 3. I have learned how to get started on a research project, how to plan my lab work and experiment in an organized manner, how to troubleshoot and find solution to a problem and how to keep my motivation and passion in research. More importantly, I also learned how to bounce back from failure and readjust my expectation towards my research outcome. I hope this programme can be continued in the future and I highly recommend all the future BMS students to grab this golden opportunity to participate and experience a completely different lab environment. Trust me, you will never regret! 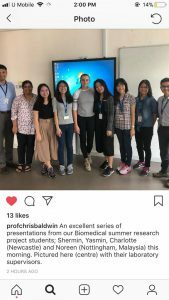 Lastly, I would like to express my gratitude and appreciation to Prof. Ting, Prof. Baldwin, Dr. Roshan, Dr. Fang and Dr Alice for their hard work to make this internship exchange programme a great success. 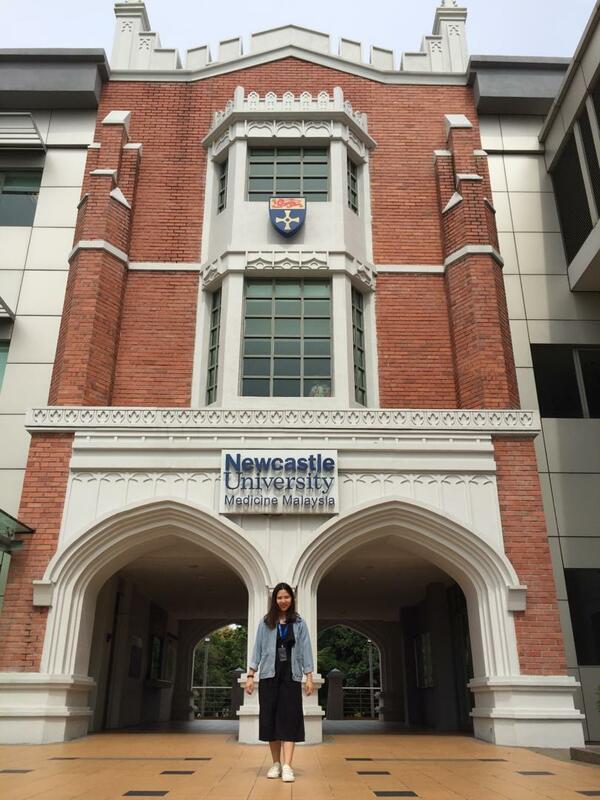 Taking photo in front of the NUMed building on the last day of my internship. 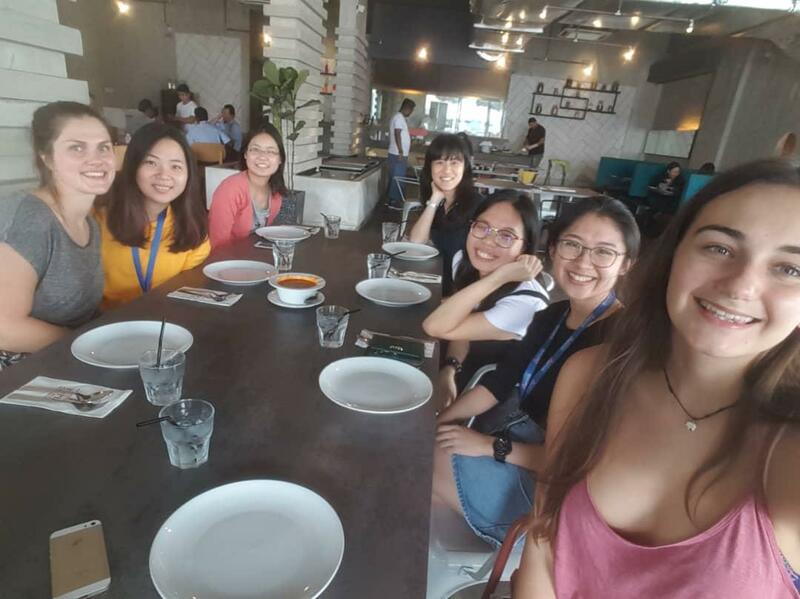 Lunch outing with other internship students before I ended my internship at NUMed. “Passion and patience are the two most crucial requirements to be a researcher. Focus on the process, not the outcome because there will be no perfect results in Science.” – Dr Roshan Mascarenhas.